Beetiful designed the book cover for Lenny Drott by PG Smart. Lenny Drott is the debut novel from Australian fiction writer PG Smart. 103962 words. Straight from 10 years of middle class Australasian boarding schools, a hapless Lenny Drott is totally unprepared for life. He is torn between his parent’s desire for him to earn respect through a career as an accountant, and his own yearning to be a famous rock star with all the trimmings. Lenny attempts to juggle his career, relationships, life on the road with rock bands, and Patsy (oh Patsy!) the alluring, irresistible, uncontrollable nightmare that demands his attention, gets way too involved in every aspect of his life, and nearly ruins everything. Lenny gets educated, busted and broken, loses his license, goes to rehab, plays Brisbane’s Festival Hall with his band Crushed Noodles, then gets shafted by the music industry to the point of giving up music forever. The novel is set mostly in the northern half of Australia, but the location and story could be transposed to anywhere. 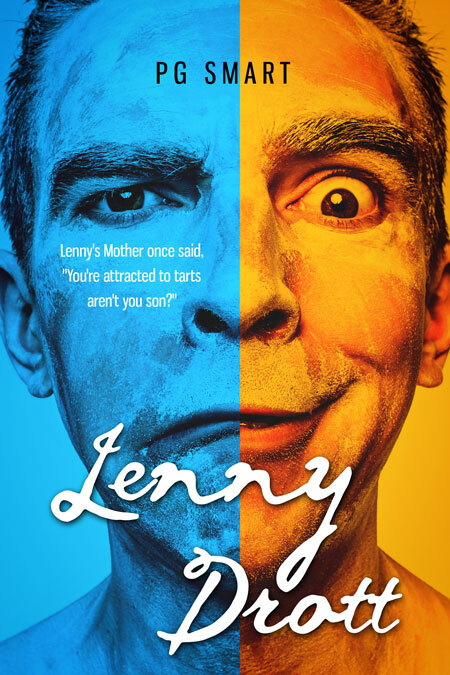 Lenny Drott is an easy read dealing with subjects close to everyone and in a style that is both empathetic and captivatingly humorous. Get Lenny Drott by PG Smart today!